You can see our range of papers and finishes for yourself. You will receive A 40-page perfect bound booklet showcasing 26 of our most popular paper types and weights, and 7 of our custom finishing techniques. Brilliant thanks, this will come in Handy when doing crafts and stuff with the kids. But bear in my mind that the sweets aren't suitable for vegetarians. Got my sample today. 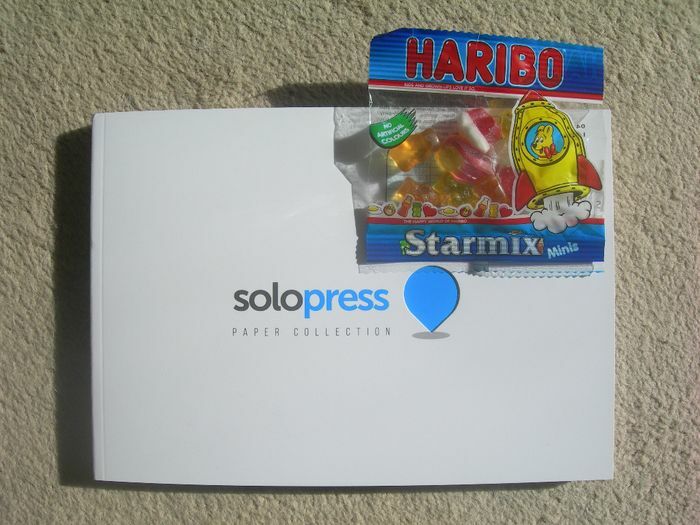 Not sure if the paper can be used for crafts but the little pack of haribo is nice.